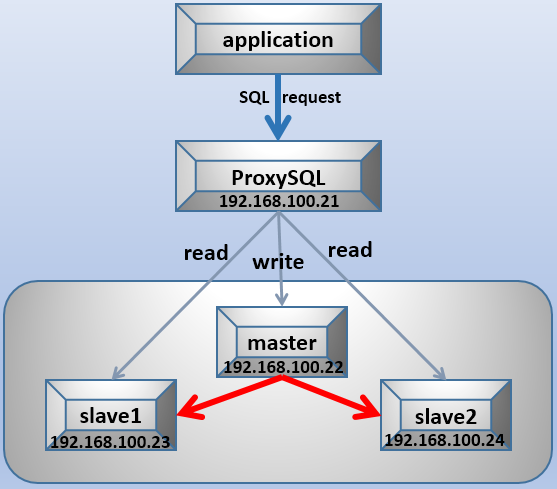 [root@s1 ~]# mysql -uroot -pP@ssword1! -P6033 -h127.0.0.1 -e "select @@server_id"
[root@s1 ~]# mysql -uroot -pP@ssword1! -P6033 -h127.0.0.1 -e "create database proxy_test"
[root@s1 ~]# mysql -uroot -pP@ssword1! -P6033 -h127.0.0.1 -e "show databases;"